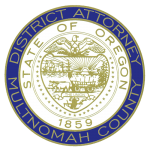 Recently, the Multnomah County District Attorney’s Office proudly participated in a volunteer project with Metro Parks and Nature at Blue Lake Regional Park in East Multnomah County. The event included about 40 members of the District Attorney’s Office and family members. More than nine yards of vegetation was pruned by park staff for tree health and visitor safety. The volunteers bundled and loaded the greenery for animals to eat, including elephants, at the Oregon Zoo. To safeguard the trees at Blue Lake Regional Park from damage caused by riding lawnmowers, and to hold in the moisture they need year round, more than 15 cubic yards of bark mulch was spread around 106 trees. This was a huge undertaking and contributed to the over beautification of the park, according to the volunteer coordinator for Metro Parks and Nature. Two volunteers also stained the pump house that runs the popular spray ground. Metro said this will extend the look and the life of the structure much longer and will help preserve the park’s amenities. 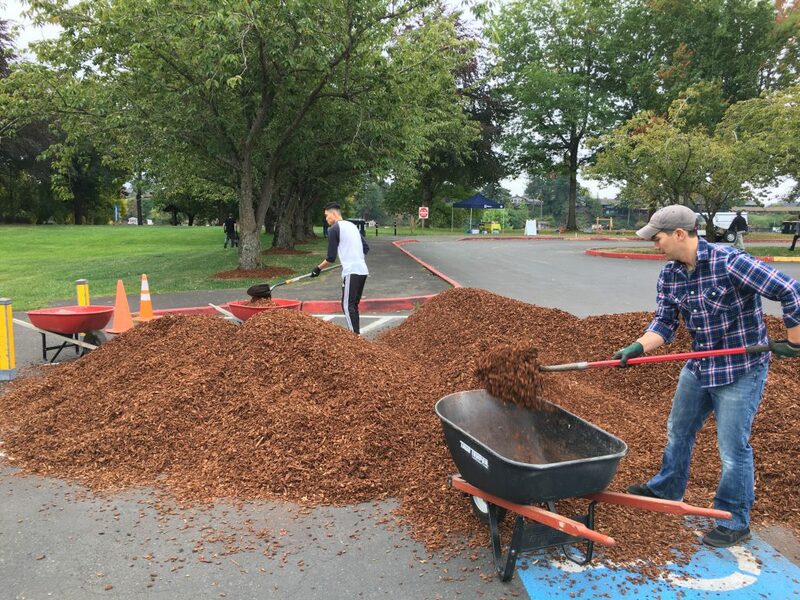 In addition to the bundling, mulch spreading and facility restoration, volunteers did a litter sweep of the park and were able to pick up micro-trash, which includes cigarette butts, plastic and glass as well as bottles, cans and debris. To learn more about volunteer efforts with Metro, click here. Blue Lake Regional Park opened in 1928 as a family-run attraction with a dance hall, rides and swimming. 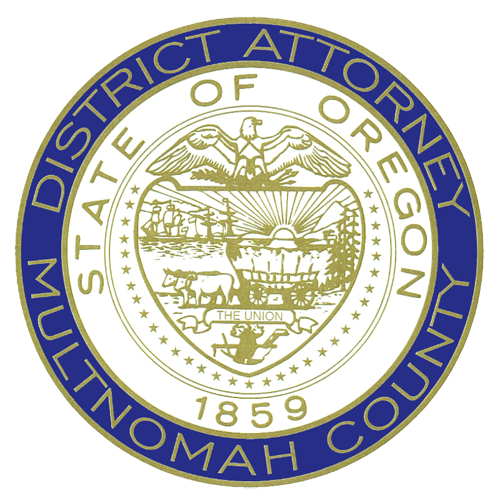 Two deputy district attorneys with the Multnomah County District Attorney’s Office volunteer at Blue Lake Regional Park in East Multnomah County.